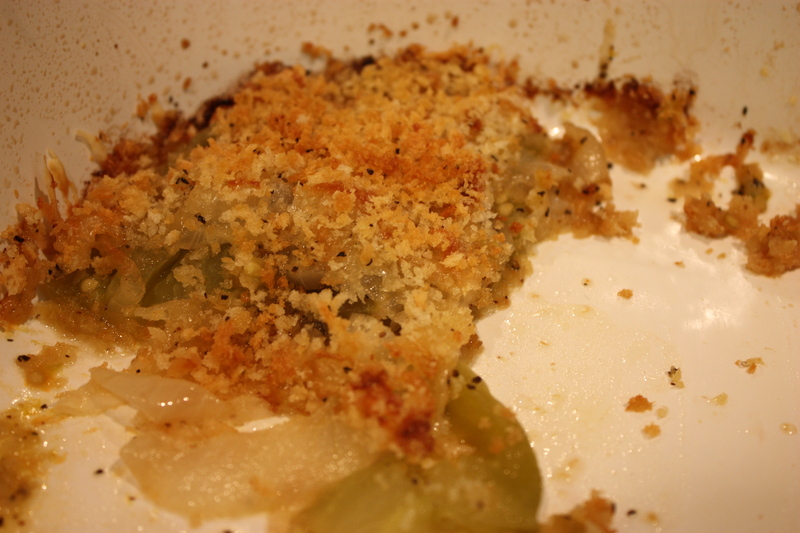 Green Tomato Gratin | "Il faut goûter"
Fried green tomatoes are good, but this gratin is better! This, to date, is my favorite dish made with green tomatoes. (Well, now the Green Tomato Salsa I made over the weekend rivals for first place.) I’m a southern gal, so I’ve had those unripe tomatoes–maybe always?–battered and fried. And then there was this. I don’t watch much tv, but if I do I navigate immediately to Food Network. Last time I was there, Claire Robinson was making a Green Tomato and Vidalia Onion Gratin, so I adapted her recipe to what was in my kitchen. It was delicious. It is delicious. Go ahead, pick those tomatoes early! 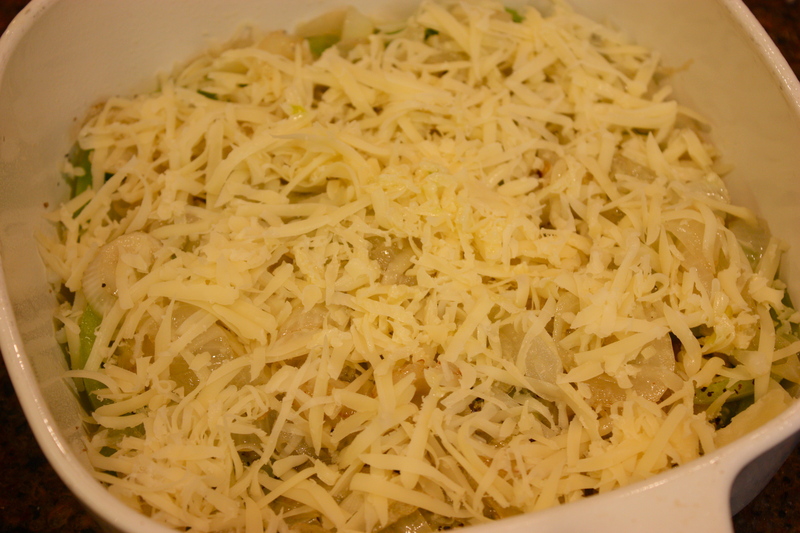 About 1 cup grated cheese (Swiss or white cheddar)–I used Swiss. It was yum. Place tomato slices in the bottom of a baking dish coated with nonstick cooking spray. 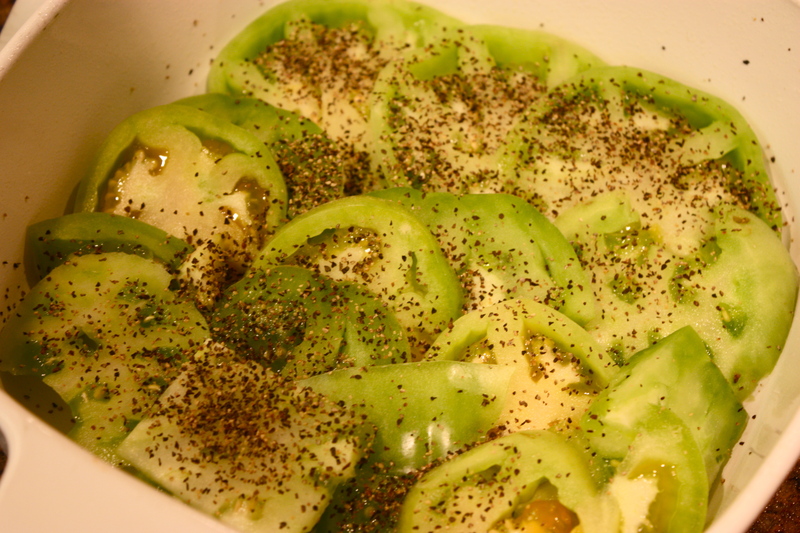 Sprinkle a bit of salt and crack some pepper over the green tomatoes. In a skillet, heat the bacon grease or olive oil and add the onion slices. Sauté the onions until they are translucent. 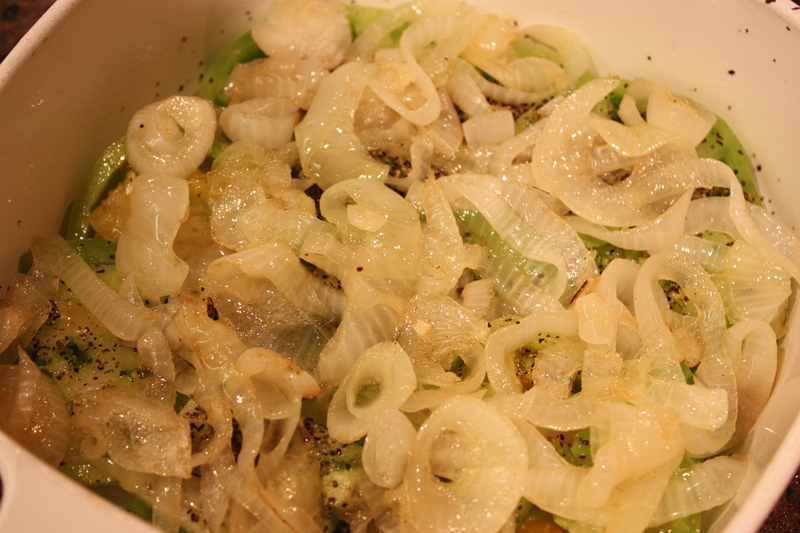 At this point, sprinkle the sugar over the onions and cook them a bit more to begin to caramelize the sugar. Then, arrange the cooked onions on top of the tomato slices in the baking dish. Sprinkle the cheese on top of the onions. In a bowl, combine the breadcrumbs with the remaining bacon grease or olive oil (from the skillet in which the onions were cooked). Stir until the grease is incorporated into the breadcrumbs, then sprinkle the breadcrumbs atop the cheese layer. Bake in a 350 degree oven for about 30 minutes until the top is golden brown and the cheese is bubbly. *Claire’s recipe calls for Vidalia onions, which are naturally sweet. I had yellow onions at home, so I added sugar to get some sweetness and caramelization—great resulting flavor! Breadcrumbs are the last layer, but silly me forgot to photograph that. I leave the room and it's nearly gone. This entry was posted in Uncategorized and tagged fried green tomato, green tomato, green tomato dish, green tomato gratin by needtotaste. Bookmark the permalink. I can just imagine how tart and creamy all at once this is. Such a cool idea. Now if only my tomatoes weren’t gone! Not even a green one left. 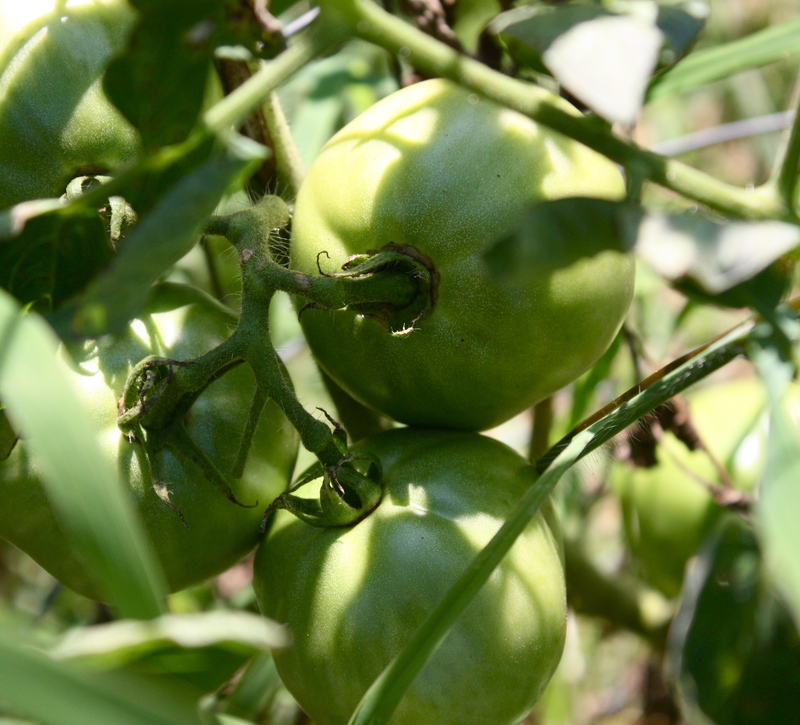 this recipe is so wonderful I planted tomato plants just to have green tomatoes.